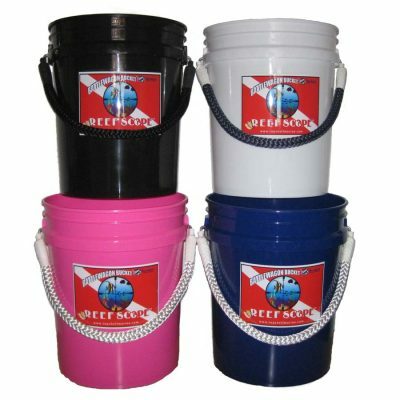 Our clear bottom Reef Scope buckets are simply the best underwater viewers on the market. 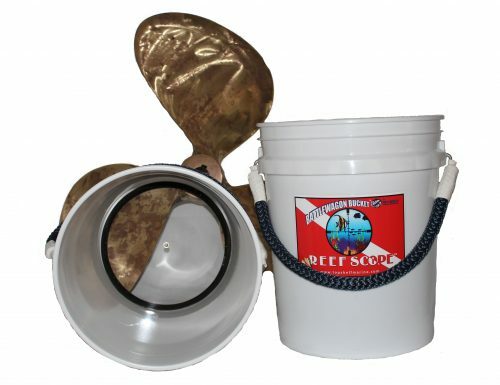 The reason is they start with a Battlewagon Bucket or Coastal Bucket first and foremost; but also sport a clear bottom. 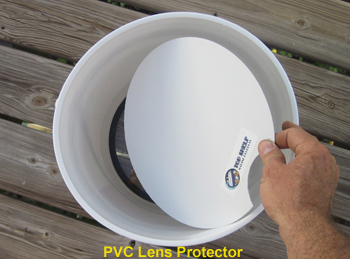 They can be used as a real bucket and an underwater viewer. Load them to the max with Water, Ice, Fish, Chum, whatever. They can take it. But when you need a peek below the surface, the “Reef Scope” mode lets you see what’s going on below. 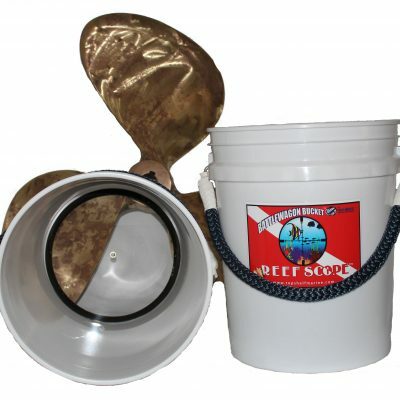 Available in two sizes, the 5 gallon Reef Scope and the 3.5 gallon Reef Scope PUP. 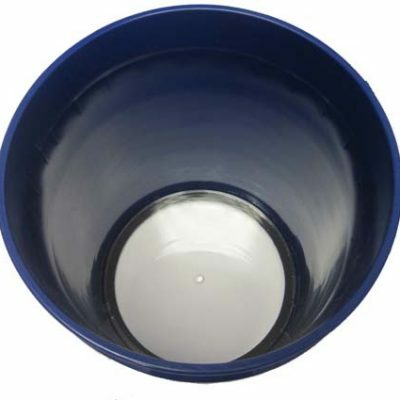 Most other clear bottom buckets have their handles removed and a warning label that says “not to be used as a bucket”. 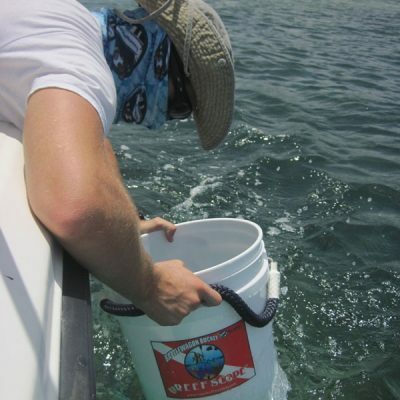 There is never enough deck space on a boat so having a bucket on board that can’t be used as a bucket doesn’t make much sense. 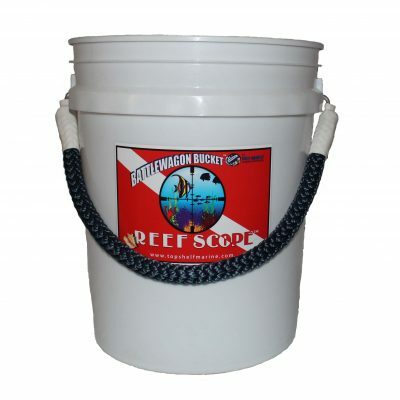 And just like all of our Battlewagon & Coastal buckets the rope handle offers a superior grip with wet or slimy hands. It’s more comfortable with heavy loads and our patented transition hooks allow you to stack multiple buckets and fill them to capacity. 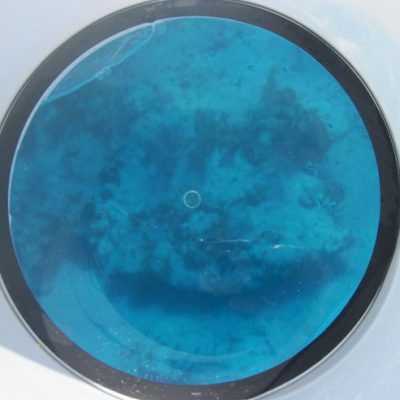 Our Reef Scopes are the choice of Researchers, Academics and Professionals in the field. They are a must have for hunting lobster and scallops and the kids love them. 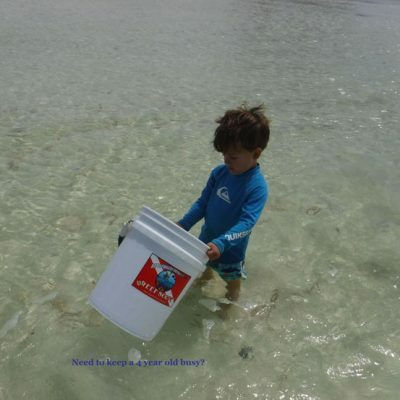 • Use it as a BUCKET as well as a “Reef Scope”!! !